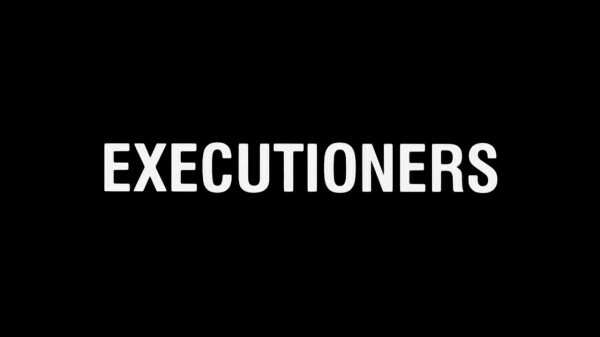 While I consider The Heroic Trio one of the essential pieces of Hong Kong cinema, the follow-up, Executioners, is unfortunately a weak entry that you might be better off not knowing it exists. Displacing the optimistic heroism of the original, Executioners takes places in a future dystopia, where nuclear war has irradiated the water supply. The only clean water is controlled by a corporation run by a madman named Mr. Kim, who has aims on controlling the world. The government is little help, having become weak and despotic, factions of which ally with Mr. Kim and his world domineering goals. The worst sin of the sequel is the addition of an annoying whiny kid, who is Wonder Woman’s daughter and spends a large portion of the film crying out for her mother. Normally I’m all cool with sequels shaking things up a notch. 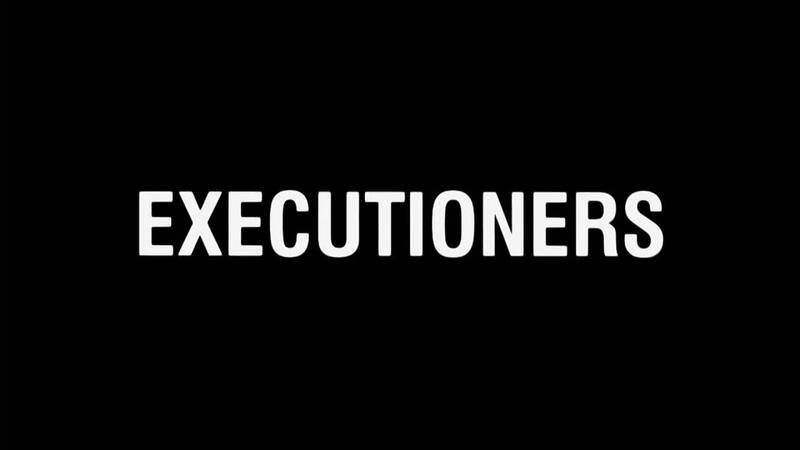 But Executioners bungles the execution, making even its own name ironic. The constant sense of bleak sadness as tragic thing after tragic thing happens to our heroines who overcame evil in the last installment while still having good outlooks on life is jarring. The film creates a credible dystopian world, but the characters don’t really fit into it. It’s telling that it takes so many tragedies to happen to them before they feel like they belong. Only then can they battle the one responsible for all the problems. 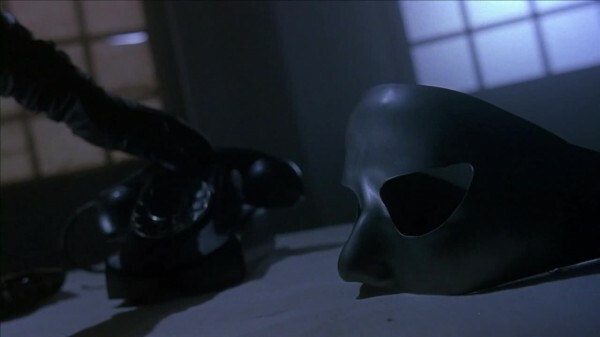 The light-hearted tone of the original is tried to be replicated in a few scenes, but it comes off as artificial, especially with all the dark things going on. Strangely enough, Thief Hunter seems like the character who would do the best in this world, and she’s the strongest proponent in ending it. The friendship of the three women is strained via plot devices. Ching/Invisible Woman works for the government, and due to secret orders is unable to help or even talk about certain things. Wonder Woman is sidelined by being a mother who made a promise to her husband to not become a super heroine any more. She spends a good chunk of the film in prison, which keeps her out of most of the action, but also highlights that even with minimal makeup, the late Anita Mui was strikingly beautiful. The political allegory of the original film is now knocked on its ear, with a terrible future society that’s no longer holding together, a weak government, strong corporate control, religious leaders with influence over the populace, and conspiracies on both sides for control. The government forces wear military uniforms that feature red armbands. Both the villains and the government gun down innocents to protect themselves. Parts are pulled from Mad Max films, more from Total Recall. The quest to find water becomes similar to Quaid’s adventure with the oxygen machine on Mars. Wonder woman/Tung/Dong Dong (Anita Mui Yim-Fong) – Former hero Wonder Woman is now retired and raising her young daughter Cindy. Despite hanging up her mask, the problems in the city demand a hero, and it’s hard for her to stay out of costume. 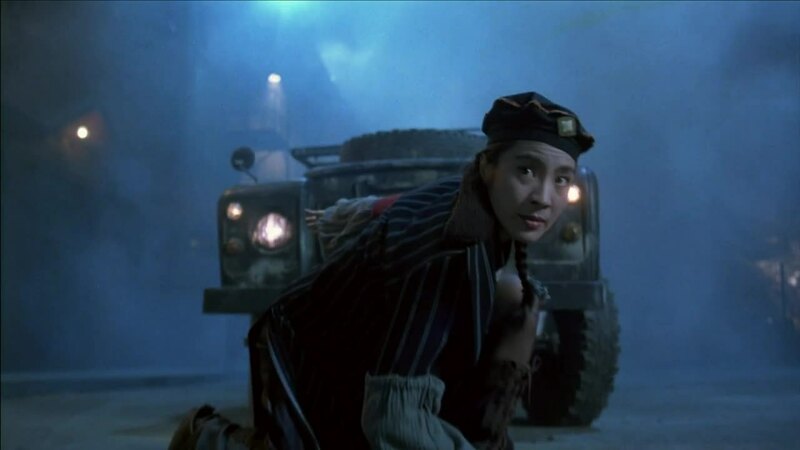 Invisible Girl/Sandy Ching (Michelle Yeoh) – Sandy Chine now drive medical supplies and battle bandits who try to steal thos supplies. She has a loyal flute-controlled hunchbacked masked mutant buddy named Kau as a sidekick. Thief Catcher/Chat (Maggie Cheung Man-Yuk ) – The mercenary Thief Catcher spends her days robbing Clear Water Corporation trucks, though mostly for herself even if the water eventually ends up in the hands of the needy. Chief Ken Lau (Damian Lau Chung-Yan) – The now very busy Chief Lau tries to hold Hong Kong together in the midst of the apocalypse, water shortages, religious cults, government coups, and vast conspiracies. He fails. Mr. Kim (Anthony Wong Chau-Sang) – A masked villain who dresses like a member of 18th century aristocracy. Is head of the Clear Water Corporation and has his sights set on controlling the world, or at least what’s left of it. Or at least Hong Kong. Basically, he’s evil and that’s all we need to know. EVIL! 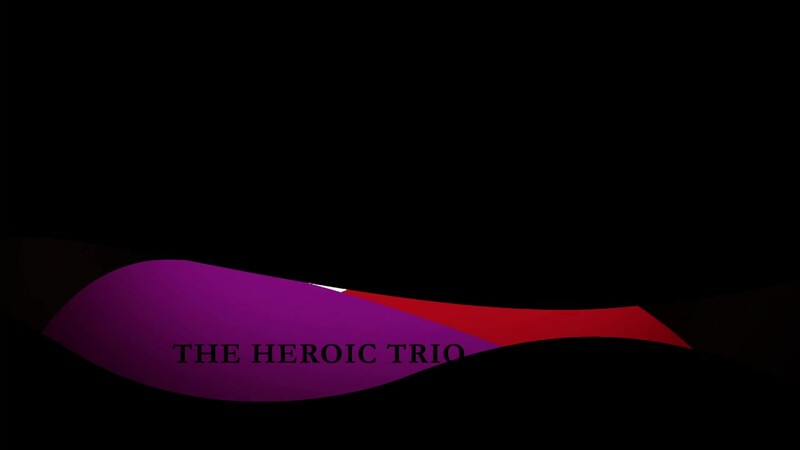 Next up in Tars reviews classic examples of global cinema that he should have damn well reviewed years ago is The Heroic Trio. Instead of again explaining how this was one of the first couple of Hong Kong films I saw and how it cemented me into a lifelong fan of Hong Kong Action Cinema, I’ll just remind you with this sentence that dismisses the topic while reaffirming it. Make no mistake, The Heroic Trio is an awesome and classic piece of Hong Kong cinema from the last golden age. Johnnie To directing before he became a film festival darling. 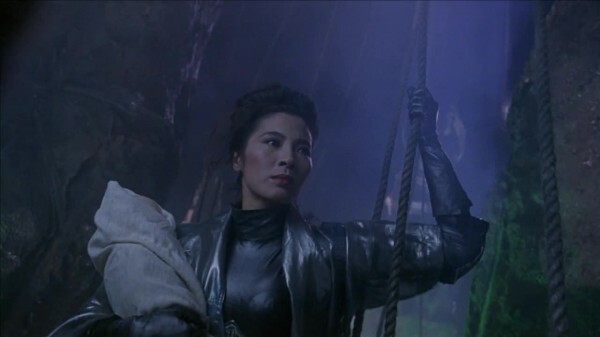 The ever-amazing Anita Mui being the most glamorous and moral super hero imaginable. Maggie Cheung as the rebel outsider hero who never looks before she leaps, and whose antics cause worse problems than the ones she tries to solve. Michelle Yeoh as the conflicted hero forced to serve evil. Anthony Wong in a surprisingly restrained performance as an unhinged psychopath. The Heroic Trio both riffs on and celebrates the glamor of cinema. Characters can often be found posed while events are going down, an off screen fan conveniently nearby to make their hair flow in the wind. They go so far as to have Thief Catcher bring along fashion clothes for the women to wear after the job is done so they’ll look extra spectacular, and shots of the women all doing their model walk as Cantopop sings us out. The obvious Western influences are the Batman films from Burton, but there is a heavy Terminator vibe going on as well. 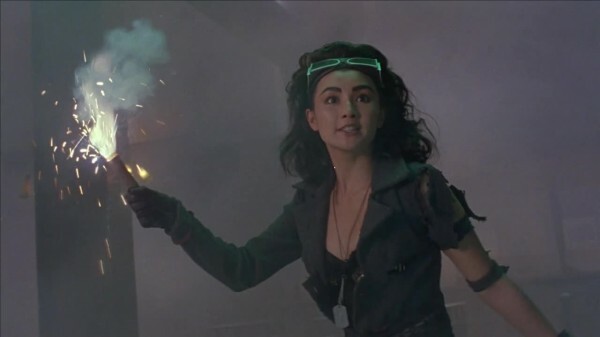 For a more inward look, the vast amount of girls with guns films helped position female-driven action films as a good idea, and some of the set design look straight out of Zu: Warriors from Magic Mountain. At one point a character uses a flying guillotine! The mixmash of films and ideas is one of the factors that makes Hong Kong film so great for the fans. 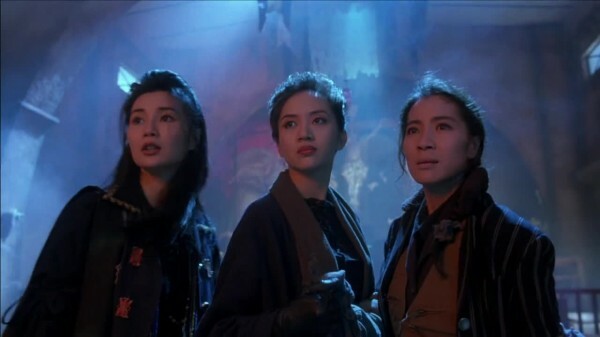 Director Johnnie To lets the mood build not just with the actresses and their poses and expressions, but with a heavy use of Cantopop on the soundtrack, with Anita Mui showing why she was a legendary singing star at every note. Johnnie To isn’t one to shy away from political metaphors, and The Heroic Trio is no exception. As 1997 and the turnover to China loomed in the minds of every Hong Kong citizen, it naturally became reflected in film. One reason why “Evil Master” seeks out male children is that one will be destined to become the new Emperor of China, under Evil Master’s control. Thus a return to Chinese rule would be a return to the olden days of Emperors, throwing out democratic rule. Mainland China is hardly a beacon of democracy, but the parallel is there. The fear is torn down by empowered women with fashion sense, who preserve the free way of life. One of the problems with great looking HD releases of films is it makes the wires way more apparent than the second generation VHS tapes I first saw the films on. The Heroic Trio had some shots that you could see the wires on even then, but now things are far more obvious in giving away the magic. Still, someone going through and CGing out all the wires would lose some of the charm, so it’s time to learn to live with such things. In short, The Heroic Trio is a fun action filled adventure that borrows the best elements of decades of Hong Kong and American cinema to create a new classic. Tung, The Wonder Woman (Anita Mui Yim-Fong) – The glamorous Wonder Woman is also Tung, the unassuming housewife of Inspector Lau. Remarkably capable, Wonder Woman is the gold standard of awesome in the super heroine world of Hong Kong. Armed with dart blades and a ribbon sword. Ching, The Invisible Woman (Michelle Yeoh) – Ching was childhood friends with Tung when both were being trained by a good master, but Ching left, only to fall in with Evil Master (and was known as San during that time). Despite literally working for evil, Ching isn’t a bad person, and eventually flips sides. Is invisible due to an invisibility cloak designed by her boyfriend, who is slowly dying as he works on the cloak. 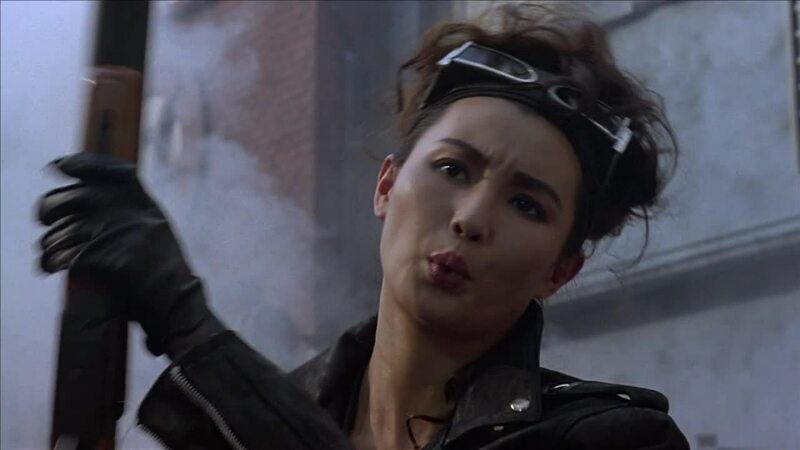 Chat, The Thief Catcher (Maggie Cheung Man-Yuk) – A motorcycle-driving, shotgun brandishing heroine who is not afraid to break out her boomerang knife on anyone. Bounty hunter who is trying to break into being a super hero for hire. Thief Catcher’s haphazard methods result in a lot of dangerous situations, with occasional tragic consequences. That Wonder Woman is so perfect at the super-heroine job just drives Thief Catcher batty. Was childhood friends with Ching when both were taught by Evil Master, but Chat fled after a few years. Inspector Lau (Damian Lau Chung-Yan) – Loving husband of Tung, and top cop who works with Wonder Woman. And, yes, he’s not so stupid he doesn’t figure out who his wife really is. Kau (Anthony Wong Chau-Sang) – Kau uses a flying guillotine when sent to kill wonder woman Anthony Wong was the go to guy for creepy in the 90s, and here he’s a slightly sanitized version of one of his gross characters from his many turns as Category III horror villains. Evil Master (Yen Shi-Kwan) – When you are named Evil Master, you don’t really have a lot of choices in life on what to do for a living. Is looking for a new emperor for China, who he will control and thus rule China. A sequel to Crouching Tiger, Hidden Dragon has awoken from slumber and possibly snagged Michelle Yeoh to reprise her role of Yu Shu Lien. Fans of wuxia stories will know that Crouching Tiger is actually the fourth book in a series. The fifth book Silver Vase, Iron Knight is what will become the next feature. The Weinstein Company is behind this new film, having secured the rights of Wang Du-Lu’s Crane-Iron Series (though it seems Wang’s heirs aren’t happy at the amount of money, so expect some lawsuits eventually!) and are bringing Ronny Yu to direct the sequel, with John Fusco (The Forbidden Kingdom) having written the script. How good this ends up being will be a mystery, though I seriously doubt it will approach Crouching Tiger in quality. I say that not as a pessimist, but a realist. I can be perfectly fine on its own laurels, but it will be burdened with the association to the original classic. 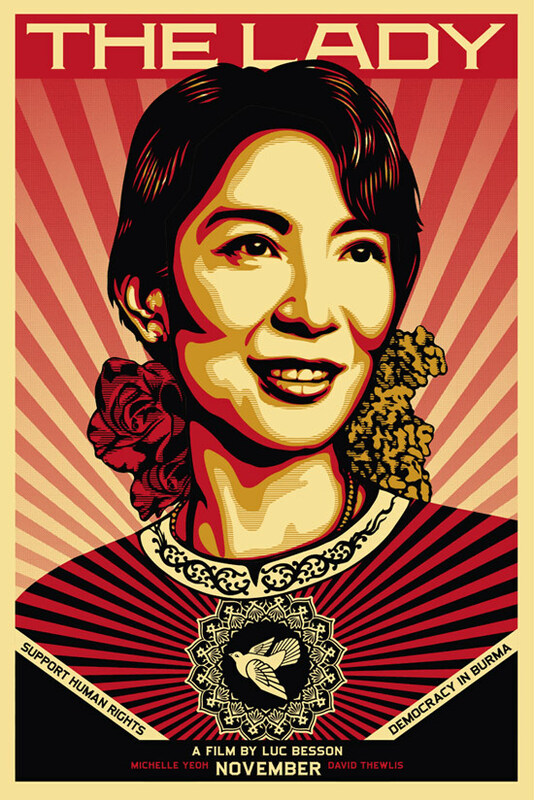 When Michelle Yeoh isn’t getting banned from Burma while making a biofilm about the life of activist Aung San Suu Kyi, she’s getting posterized! 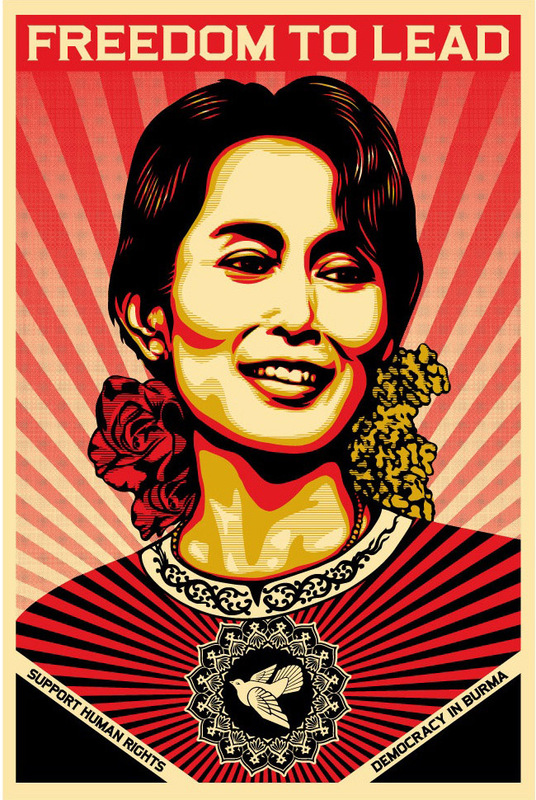 Artist Shepard Fairey did a work on Aung San Suu Kyi, and has now done a version with Michelle Yeoh’s face for the upcoming Luc Besson film The Lady. Michelle Yeoh is stepping back into the martial world and playing an assassin in the upcoming film Jianyu Jianghu, (translated: Rain Of Swords In The Martial Arts World.) John Woo is co-directing along with Su Chao-pin (Silk.) Filming is expected to begin next week, so hopefully we’ll have something cool to report soon.